Convince & Convert is a group of strategic advisors that work with world-class organizations to make digital marketing and customer experiences remarkable through consulting and training services. In addition to strategy consulting, the firm runs Convince & Convert Media, a fast-growing education company that produces six podcasts, a digital magazine, email, webinars, and white papers. Ready to save 10 hours each month on your content marketing? 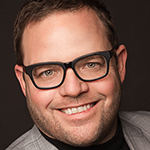 With a little bootstrapping and over twenty years experience, Jay Baer started Convince & Convert with the simple idea of eliminating the marketing agency model and giving folks what they need – simple digital marketing advice. Since their inception, they’ve been producing high-quality content and actionable advice to marketers around the world through their award winning blog, daily email newsletters, and weekly podcasts. 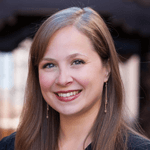 Jess Ostroff, Convince & Convert’s Managing Editor knew they needed a solution that their virtual team could use to manage a high volume of projects. Before CoSchedule, Convince & Convert struggled to find a successful process with their current, and somewhat haphazard workflow. Jess and the team were working through spreadsheets, email threads and a less than stellar WordPress Calendar. It wasn’t long before the need for a better system became a priority. Since switching their workflow to CoSchedule, Convince & Convert effectively manages their content-heavy schedule with ease – even with a remote team. “Most of us have our full-time jobs and then we also work for Convince & Convert; having the calendar, empowers my team to quickly jump back into the process without having to be in the calendar every day,” says Jess. With tasks built into CoSchedule, team members can see what’s next on their individual to-do lists. For recurring project types, like newsletters, Jess developed a unique workflow for each piece of content, so there are no questions as to what each person’s tasks and responsibilities are. Marketing projects often require a relay style workflow with different team members completing different stages of the project on specific days in order to meet deadlines. With CoSchedule’s task templates, Jess’s workflow is kept clear and unobstructed. Using CoSchedule helps their team work autonomously while staying in sync. The team at Convince & Convert schedules over 48 posts, 5 podcasts, and 4 newsletters each month. And they’re responsible for vetting between 50-200 submissions each week. “It was hard to wrangle all the content and get it into a calendar that was actually up to date,” says Jess Ostroff, Managing Editor. Working on a high volume of projects always adds a level of complexity – especially with a remote team. But with CoSchedule’s task templates and calendar views, staying in sync and on schedule is easier than ever. By using CoSchedule for their editorial calendar and project management tool, Convince & Convert has saved countless hours on marketing projects. “Managing all of the content and workflows in one spot has eliminated endless hours of email hunts and piecing stuff together. Now, our team can focus on the important stuff – publishing exceptional content,” says Jess, Managing Editor. The discussions feature allows conversations to happen within the content – and with one focused area for communication – the Convince & Convert team can easily review past conversations, respond to questions, and quickly get back up to speed on the stage of any project. With all of the project details inside of the editorial calendar, the C&C team has all of the resources and context required to get projects completed faster. In fact, The Convince & Convert team has saved 10+ hours each month on content marketing with CoSchedule. Giving them more time to create quality content and strategies that drive results. Maximize Your Efforts (And Save Tons Of Time) With CoSchedule.